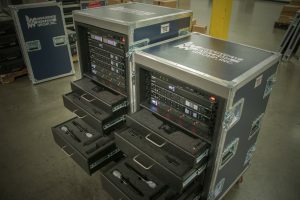 Riverview Systems Group Expands Audiovisual Inventory with Shure Axient Digital Wireless Microphone Technology | Riverview Systems Group, Inc.
Riverview Systems Group, the award-winning, full-service provider of engaging and innovative live events, has expanded its extensive professional audio technology inventory with the addition of more than 100 Shure Axient® Digital and ULX-D Wireless microphone systems. The investment reflects Riverview’s commitment to deliver state-of-the-art audiovisual technology to clients across all areas of the company’s business, including live event production, systems integration, and trade shows, and it brings it into compliance with new FCC spectrum regulations, well ahead of published deadlines. Riverview, also celebrating its 30-year anniversary this year, has relied on Shure professional microphone technology since the company’s inception. As one of the first production companies in the Bay Area to receive the Axient Digital wireless systems, Riverview is also positioned to comply with the FCC 600 megahertz (MHz) TV Band repack spectrum allocation changes slated for the Bay Area in 2018. Williams explains that the decision to invest early in the new Axient Digital wireless systems stems in part from recent FCC regulations surrounding reallocation of the 600 MHz Band to mobile broadband use, meaning not only are wireless microphone systems operating in that frequency range at risk of not working reliably, especially in congested urban environments such as hotels and convention centers where live event productions take place, but that interfering with new services is illegal and subject to FCC fines. As the new premier wireless in Shure’s successful wireless microphone system portfolio, Axient® Digital is the most advanced wireless platform to date, suited for all professional productions and situations. 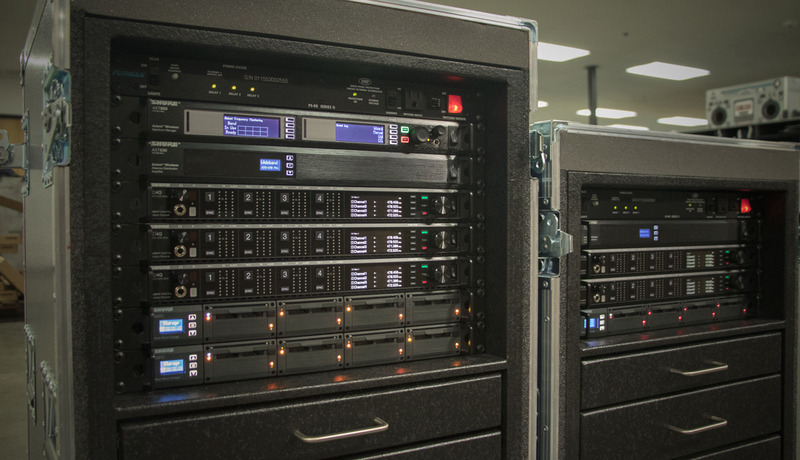 Catering to evolving customer needs—especially in an environment of continued RF spectrum pressure—Axient Digital provides high-performance RF, exceptional audio quality, command and control, and hardware scalability. Since 1987, Silicon Valley-based Riverview Systems Group, Inc., has been providing the world’s leading brands with the technical and production design expertise to successfully produce engaging and innovative live events The award-winning, full-service provider of audio-visual resources specializes in the rental, sale, design, installation and implementation of lighting, sound and video systems for corporate, retail, museum and educational markets. Riverview offers a comprehensive array of technical and creative services, as well as an extensive inventory of state-of-the-art, well-maintained equipment including cutting-edge wide-screen projection, media server delivery, and LED display technology. Riverview works hand-in-hand with clients to share their expertise and accommodate any sized production to deliver extraordinary brand experiences.